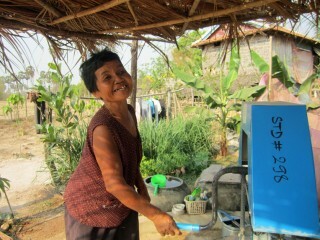 Through a Samaritan’s Purse project, a woman in Cambodia now has access to safe water and more time to improve her life. Andrew Conard works with Samaritan’s Purse in Cambodia as a water, sanitation, and hygiene program manager. This blog was originally posted on his wife’s blog. Recently, I have been working on a water access project in Kampong Chhnang Province in Cambodia. Each month, the project staff members send me a story highlighting the impact of the project. This particular story touched me and reminded me how much I love these projects. And from my firsthand observations, I know the situation is not just a story, but it’s a glimpse into the challenges of everyday life for many people here in Cambodia. 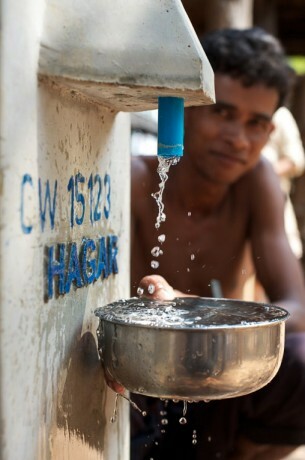 Clean, accessible water has changed Mein Hon’s life. Now, instead of spending all of her time gathering water, she can work more in her vegetable garden. As a poor, elderly widow, Mein Hon and her three children struggle to provide for themselves. Her children earn only $80 a month—her daughters working at a garment factory and her son as a construction worker. During the day, Men Hon stays at home by herself while her children work long hours just to put food on the table. She does not have much to call her own, just a small plot of land. She has no running water in her house. She would spend an hour carrying water every day. The water she collected was from a muddy, hand-dug well far away from her house—a distance equal to two football fields. Four times a day, she carried an 18-kilogram bucket of water a total distance of nearly 3 kilometers. It was so physically draining for her to simply get enough water to survive that she had no energy left for other work. Often, the weather was more than 100 degrees, and she suffered from heat exhaustion as well. Fortunately, through the water access project, Samaritan’s Purse was able to help by providing Mein Hon and her neighbors with a new well near her house. She no longer spends hours carrying water. Instead, she can walk out of her house and get it right away. Samaritan’s Purse has been providing water to people in Cambodia for several years. It has made a difference in the lives of more than 11,000 people since 2010. She also treats the water with a household water filter to make sure it’s safe for drinking. Through the hygiene and sanitation training, she learned more about the importance of treating water and hand washing, ensuring a safe, healthy future for her and her family. Now that she has more time and energy to work, she is able to save up money from her thriving vegetable garden. With her money, she hopes to buy a toilet for her house. It’s a blessing to know her and to help this amazing woman. Every time we see her, she has a big smile on her face, thankful for her renewed hope for the future. 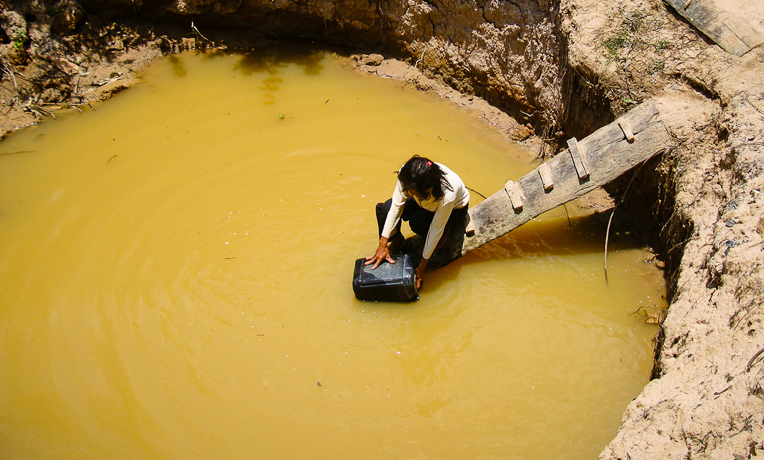 Nearly half of Cambodians lack access to safe water. Since 2010, the water access project has provided more than 11,000 people in Cambodia with a sustainable source of water. For Mein Hon, having water right outside her house has led to a healthier life and better future for her and her children.